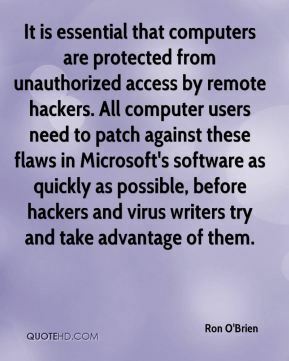 It is essential that computers are protected from unauthorized access by remote hackers. All computer users need to patch against these flaws in Microsoft's software as quickly as possible, before hackers and virus writers try and take advantage of them. 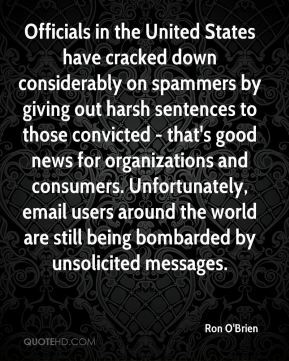 Officials in the United States have cracked down considerably on spammers by giving out harsh sentences to those convicted - that's good news for organizations and consumers. Unfortunately, email users around the world are still being bombarded by unsolicited messages.